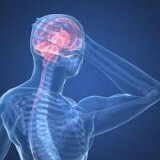 Home » Injury Awards » $60,000 for soft tissue injury with headaches. $60,000 for soft tissue injury with headaches. On November 10, 2015, the BC Supreme Court awarded non-pecuniary damages of $60,000 for chronic soft tissue injuries with associated headaches.